Looking for a way to protect your equipment and systems reliably? 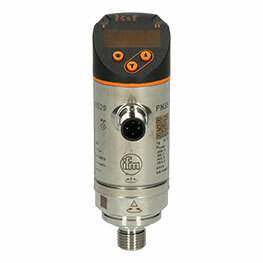 Circuit Breakers from E-T-A protect your 24 V DC power supply reliably. Your devices are protected against overcurrent and short-circuit and have increased system availability in the event of a fault. Elektrotechnische Apparate GmbH, E-T-A, was founded in 1948 by Jakob Ellenberger and Harald A. Poensgen in Altdorf, Nuremberg, Germany. The company is known worldwide for its "Engineering Technology" and operates in more than 60 countries with six production sites, among others represented in Germany. The 60-years of experience and in-depth industry and application know-how of E-T-A has brought us many high quality products for the electronics, mechatronics and electromechanical industries. The driving factor for their success has been and still is the constant strive for innovation to newer solutions for the best possible use of electrical power in perpetuity. Solving electrical challenges are a specialty of the company. The safety of equipment and people are always focussed on. The core competence lies in the field of circuit breakers. Here, they are regarded as a world leader. In addition, the assortment includes control and protection products. Thanks to the zero-defect principle, the high quality and good reputation of E-T-A products is always preserved. They are MIL qualified and carry the QPL approval. This is supported by numerous other approvals and certifications. In the future, this will not change. The production of innovative and trendsetting products is important for E-T-A – which is backed up with a number of internationally patented products. The cooperation with research institutions and universities is continuously pushing ahead this development. 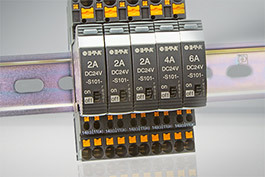 At Automation24 you find, not only multi-channel equipment protection from PHOENIX CONTACT and from Murrelektronik, but also single-channel device circuit breakers from E-T-A for the reliable protection of your 24 V DC supply. With their help you significantly reduce the risk of short circuit and overload, and increase system availability in the event of failure. Protect your systems today - with suitable device circuit breakers from E-T-A. Best prices and competent technical support via telephone, live chat or email are guaranteed at Automation24.